West Yorkshire's Internet based company providing you with quality used vehicles and outstanding service. Trade Cars 4 U was founded and established by myself John Agha in 2003. Prior to 2003 I had many years experience within the motor trade in sales and at managerial level. This entailed being part of large dealer groups such as The Sunwin motor Group. The Dixons Motor Company, the West Riding Motor Group, The Pendragon Group just to name a few. Over the years I have worked with a wide range of brands including BMW, Audi, Jaguar, Lexus, Mercedes Benz, Land Rover Range Rover, Bentley, Porsche, and many more. In growing with the times and all the hard work that has been put in by myself and staff over the years has made the business what it is today. This is not forgetting our loyal past and present customers over the years that have made Trade Cars 4 U what it is today. Over the years we have learnt to understand the needs of our customers and have tried to build on what we do to put our customers satisfaction at the forefront of the business. Trade Cars 4 U between myself and staff have over 34 years experience in all aspects of the motor trade so rest assured whatever your needs may be, we are here to help. As a result of all our hard work and in line with the times, early 2016 marked a big change for Trade Cars 4 U and our clients. The result was that after months of planning, inspections and auditing, we were proud to announce that we became an RAC Approved Buysure Dealer. 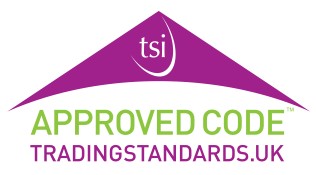 Trade Cars 4 U are honoured to be part of the RAC Approved Dealer network and be part of the only dealer group to have a code approved by the Chartered Trading Standards Institute(CTSI). In turn as a customer looking to purchase your next prestige vehicle from us means you will have full peace of mind in knowing that we have strict boundaries to act in line with and of which will be audited on a regular basis to ensure we are constantly maximising the quality supply and provide outstanding service that you deserve. This also gives you peace of mind we will always remain compliant. It is a framework on how Trade Cars 4 U should be operating and delivering exceptional customer service in line with the consumer rights. Trade Cars 4 U got to this stage thanks to our loyal past and present customers and thanks to all the hard work and commitment of the staff. We are proud to be listed on citizens advice website, trading standards and my local trader websites also. This is exclusively only available to compliant RAC Approved Buysure Dealers. In addition we are an FCA (Financial Conduct Authority) licensed dealership and also a DVLA licensed and registered number plate supplier. What can I say, outstanding service from beginning to end. I live in Scotland and my purchase was made very easy. John followed up my initial enquiry promptly. Communication throughout was outstanding. I opted for the delivery service as it was very fairly priced and left me to carry out my own work. The car arrived exactly as described when delivered. I would be more than happy to carry out future business with Trade Cars 4 U. Thanks for a pleasant and easy transaction.